The de Passele family built a moated Manor in 1262 and held the estate until 1453, when it was sold to the forebears of Anne Boleyn. In 1543 the estate was sold to Sir Thomas May, who built the Tudor house you see today. The fine Georgian fa�ade was added in 1720. 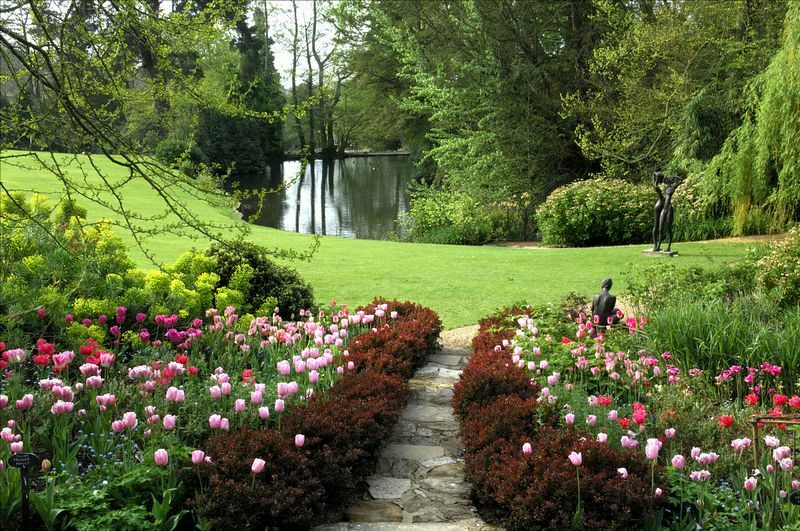 'One of the finest Gardens in England' Pashley offers a sumptuous blend of romantic landscaping, imaginative plantings and fine old trees, fountains, springs and large ponds with interest and colour throughout the year. This is a quintessential English Garden of a very individual character, with exceptional views to the surrounding valleyed fields. Many eras of English history are reflected here, typifying the tradition of the English Country House and Garden. The present owners, Mr and Mrs James Sellick, opened the Gardens to the public in 1992 and have brought them to their present splendour with the assistance of the eminent landscape architect, the late Anthony du Gard Pasley. There are exciting events throughout the year and an exhibition of sculpture and botanical art throughout the season. Disabled visitors most welcome, wheel chairs available (please pre-book). Gardens difficult to negotiate in some places. On the B2099 between the A21 and Ticehurst Village (Tourist brown-signed).